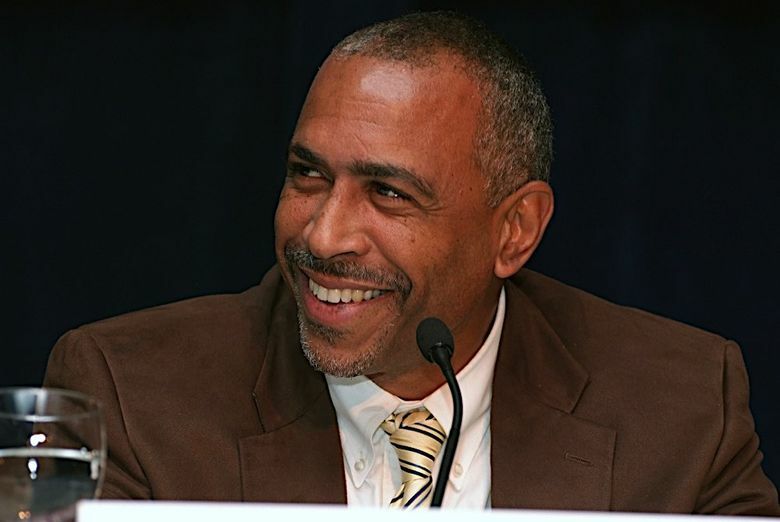 Pedro Noguera, an education professor who has studied and written about race and equity in public schools, will speak at a sold-out event on Jan. 10 at the University of Washington. Pedro Noguera has spent a lot of time writing about race and equity — or the lack thereof — in America’s public-school system. A professor of education at the University of California in Los Angeles, Noguera has written nearly a dozen books as well as countless essays and articles on school reform, race and education, immigration, student discipline, achievement gaps and more. Noguera, who previously taught in public schools in Rhode Island and California, now wants to talk about what’s being done across the country to create and support classrooms that raise achievement for all students. He’ll share some of those success stories next week as part of a public lecture series hosted by the Graduate School at the University of Washington. At 7:30 p.m. Jan. 10 in Room 120, Kane Hall, University of Washington. Sold out but some standby seating will be available. The Jan. 10 event already is sold out, but standby seating will be available on a first-come, first-served basis. In a 30-minute interview, Noguera previewed what he plans to share with the audience and what promising solutions he’s seen in some Seattle-area schools. His responses have been edited for length. Q: Schools in Seattle have started experimenting with ways to dissolve divisions between their general-education and advanced-learning student populations. How does that compare to school systems elsewhere in the U.S.? A: Across the nation, we have often segregated kids on the basis of race and class, through both tracking and specifically through gifted and talented programs. That’s largely because what’s driving a child’s placement in that program is typically their backgrounds. Kids who are from higher (socioeconomic) backgrounds and who have college-educated parents are generally the kids we identify as gifted. There’s been a lot of research on this over the years. We confuse privilege with giftedness. I don’t want to insult the parents who believe their kids are gifted. But if you look at what happens when they get older, they end up being pretty average. Q: Do you think enough attention has been given to how schools can provide deeper learning opportunities and make achievement more likely for underserved children? A: We spend a lot of time analyzing problems. We don’t spend nearly enough time looking at solutions and places where solutions have been developed. That’s a huge problem in education. We don’t give educators real clear guidance on what great teaching looks like, especially teaching for poor kids and a broad range of kids. … We don’t spend nearly enough time on what conditions need to be in place to support the teacher so he or she can be successful with those students. Seattle, for example, has had so much pushback on its testing movement because we use assessments incorrectly. We use them to rank teachers, rank schools. Assessments work best when they’re used diagnostically. If you went to the doctor, and they diagnosed you as sick but didn’t offer you a treatment, would you consider that a success? Q: You’ve written several books on the topic of inequity in schools and yet there still doesn’t seem to be much traction on making things better. What keeps you going? A: There is traction in certain places and sometimes even in whole districts, like Tukwila. That’s a place where there seems to be evidence that an equity-focused agenda is taking hold and producing progress. California has adopted an equity-based strategy. There’s this movement to create a more holistic way of looking at student-level data. It’s not just test scores but wellness and student well-being as a way to monitor schools and the performance of kids. There’s growing awareness in many parts of the country that we need a different approach if we are serious about wanting all kids to learn. Q: Considering that growing awareness, what’s the next step? What should parents and educators focus on now to help all students? A: We need to focus on the processes that lead to greater achievement. How do we make school more engaging for kids? Not that they’re bored now, but they’re not inspired by what happens in school. I don’t think we’ve focused on that at all yet. We have a compliance culture where what we do is tell districts and principals they are responsible for various things and they must fill out reports. What they should do most of all is making sure the teaching conditions are in the school. Period. They should be out of the office and in the classrooms. They should look for evidence of student learning. That’s what we want. I can tell jokes and get kids engaged, but can they write and reason? Are they using those higher skills? Are kids reading books? (laughter) Not parts of books, but whole books. How much would that improve achievement if we got every kid reading eight books every summer? Why isn’t that a priority?